Music has always been an important part of my life. As a high school student, I actually planned to go into music performance for a career. Music is a major source of inspiration for me – I love listening to loud rock songs while I’m cleaning the house, or songs with upbeat tempos while I’m dancing with my toddler, or up-tempo classical music when I’m writing, or soothing music when I’m doing yoga. Jeff Gold’s album Escapes – Music for Relaxing fits into that latter category of music perfectly. I’ve recently reviewed a couple of albums that feature Jeff Gold’s music, both Sleep Well and Sleep Well for Kids, both of which are guided imagery set to Jeff’s music. (You can still enter to win a CD of Sleep Well through February 27th, too!) Escapes is different, in that it’s just music – no guided imagery, no lyrics, just an hour of quiet and soothing instrumental music. The arrangements use acoustic guitars, piano, strings, and flute to weave a tapestry of beautiful calming melodies. Escapes is the perfect album to listen to whenever you want to slow things down and just enjoy the moment. As I mentioned, it works wonderfully with a yoga routine, and would be perfect for meditation as well. If you’re the creative type, you may find that the beautiful sounds help to awaken your muse and enhance her (or his, we don’t do gender discrimination here) efforts to inspire you. Myself, I’m so sleep deprived that listening to the album makes me want to curl up under a warm fuzzy blanket and drift off to sleep while listening to it. Although the sound is so soothing it’d probably relax many people into naptime mode. And as a matter of fact, this album is almost always on Amazon’s Top 10 “Relaxation Music” list! This album has also proven to be useful to children with special needs, like my own boys on the autism spectrum. Jeff’s nephew Russell shared this album with his schoolmates and therapists, who found it quite effective. My 14-year-old son in particular enjoys having this CD playing in the background at bedtime. He struggles with anxiety and insomnia at times, and if he’s having a hard time falling asleep the sound of the songs on this album help him to calm down and relax. In the daytime, it’s also great background music during study time! And my toddler was also fascinated with this album. Again, this is the child who usually doesn’t stop moving until he drops. If you’re feeling a little stressed, can’t fall asleep, or just need a little background inspiration, “Escapes” is a one hour get-away that will renew and invigorate your spirit… As refreshing as a long walk along a perfect beach, “Escapes” is the ideal tempo and rhythm for creative inspiration, massage, yoga, scenic drives or just winding down. It’s tricky to write a review of an instrumental music – words can’t really describe the sound of the melodies, or even properly express the way it makes you feel (especially since each person’s individual connection to the music is going to differ). I can’t really pick a favorite song from the album, because they’re all beautiful, but “Tradewinds” and “Napali” are right up there at the top for me. You can listen to tracks from the album on the player embedded below – and if you like what you hear, Jeff is offering a FREE download of “Tradewinds” on his website! Escapes – Music for Relaxing by Jeff Gold If the player doesn’t load for you, you can also listen to samples of the album on Jeff Gold’s website or on Amazon. Escapes – Music for Relaxing is available for purchase right from Jeff’s website – $13 + shipping for the CD or $7 for a digital download. Escapes is also available for purchase on iTunes for $9.99 or on Amazon (Prime eligible; $13.23 for a CD, or $8.99 for the MP3 album). Or, if you’re an Amazon Prime member, you can stream this album for FREE! Two lucky readers are going to win a digital download of Escapes – Music for Relaxing! This giveaway is open worldwide and will end on March 7, 2015 at 11:59pm EST. 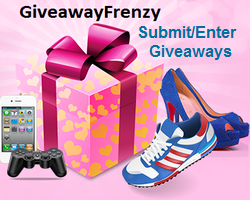 Enter for your chance to win on the Gleam widget below – good luck! This entry was posted in Giveaways, Product Reviews and tagged Giveaway, Music, Product review by Tara.Bookmark the permalink. I would love to try the Sleep Well for Kids album as well. I bet it would really help the kids settle down at bedtime. I like that he does music therapy with GuiDANCE Autism. Pretty cool! kristiedonelson(at)gmail(dot)com Thank you. I like that you have SleepWell for kids. I would like the escapes cd by jeff gold.